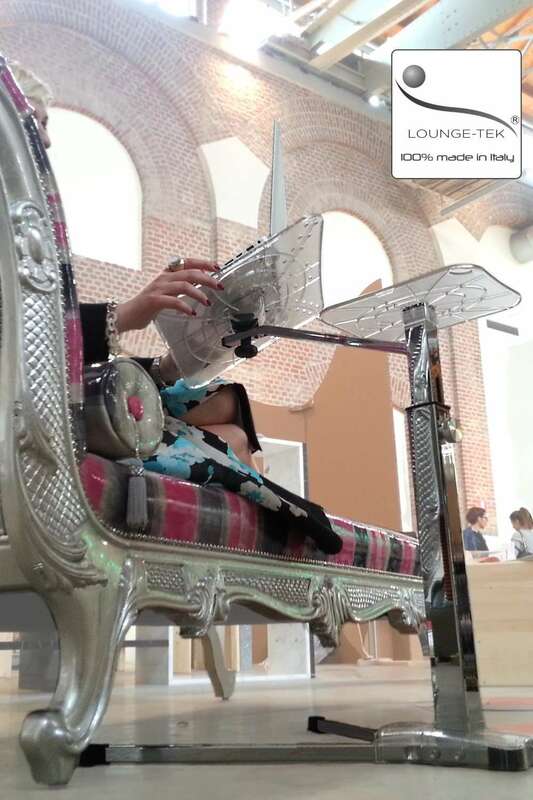 Here is our Laptop Lounge @Fuorisalone Milan, Fabbrica del vapore. 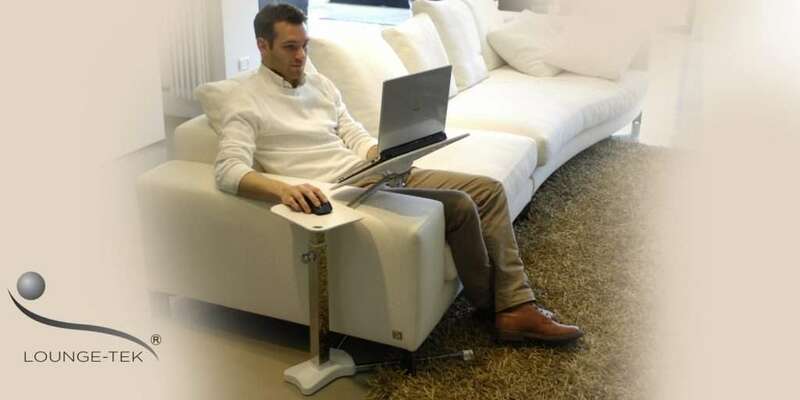 Lounge-book is a fully adjustable laptop stand, expressly designed to find a correct posture using laptop at home. Once upon a time, a paper book, a pencil, a vinyl, an analog entertainment, a book-shelf full of physical books and music. Now there are enormous benefits to working with media, files and devices in the digital domain, we can do anything with our laptop! We can live in a minimal livingroom without giving up any entertainment and integrate a working place for home-workers!!! Most of people use laptop for hours and hours at home without a proper desk. A wrong position in the long term can cause stress and pain in the back, spine, wrists and neck muscles. 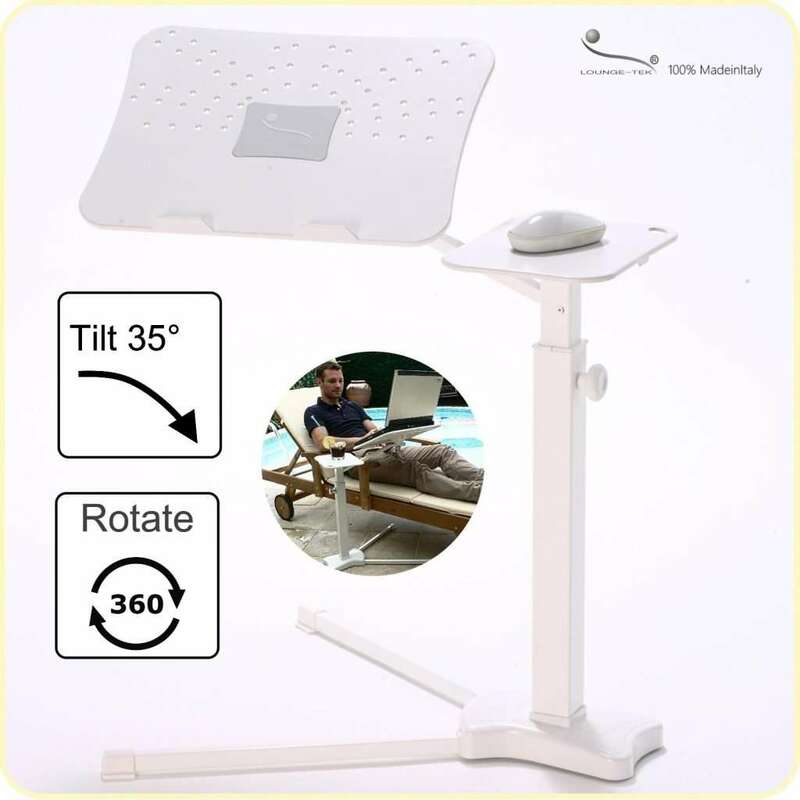 With Lounge-tek supports, you can transform your favorite Sofa, armchair, bed in a perfect laptop desk. Spring and summer are coming, take your laptop on garden or terrace!